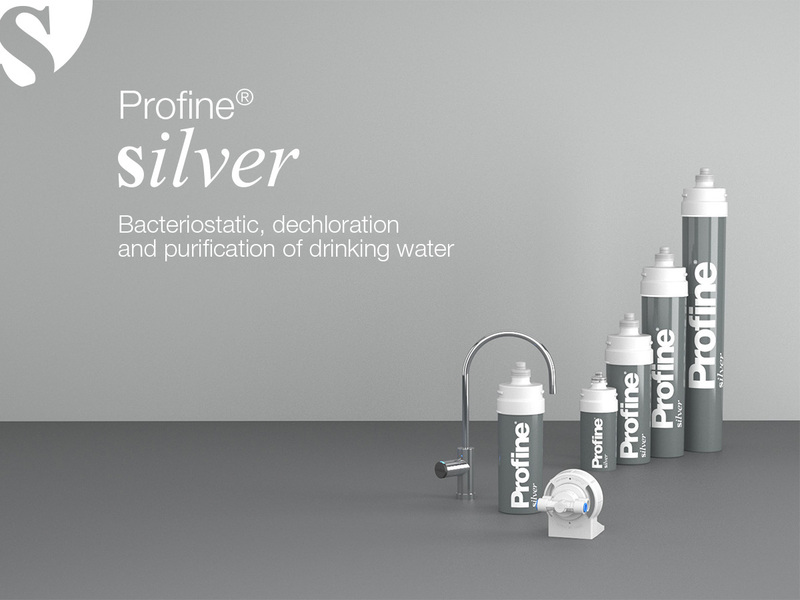 PROFINE® SILVER removes bad odours and off-tastes, reduces chlorine, and has a filter rating of 0.5 microns. The cartridge is disposable and produced using Profine® Carbon Block technology enriched with silver to give a bacteriostatic feature. 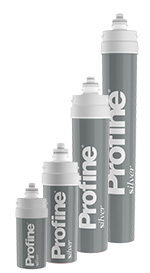 PROFINE® SILVER is a quick-connect disposable cartridge, with filtration by “Profine® Carbon Block” with silver ions technology; 0,5 micron filtration. Activated carbon filter for dechlorination and clarifying of drinking water. 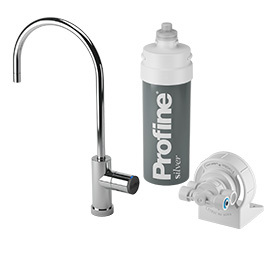 The filtration reduces chlorine content, organic compounds, odors/off-tastes from water. Thanks to the presence of silver ions, the antibacterial action downstream of the treatment system is guaranteed. Upright or horizontal installation, as preferred with the help of support clip. Bayonet fitting for Profine® heads. *Capacities may vary based on incoming water and flow rates. 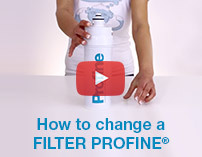 KIT PROFINE® SILVER removes bad odours and off-tastes, reduces chlorine, and has a filter rating of 0.5 microns. The kit is equipped with everything you need for installation. * Flow rates can vary, depending on the quality of the incoming water. *Flow rates can vary, depending on the quality of the incoming water.